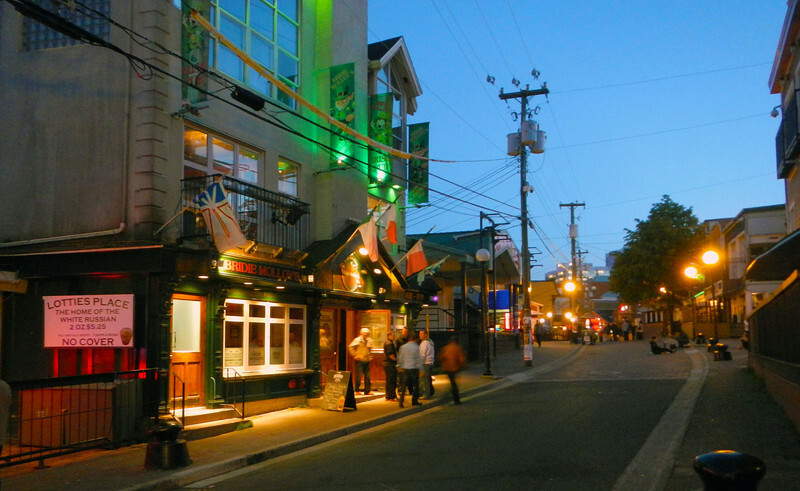 The next morning, we rode around St John's to get some supplies and walked the downtown area. 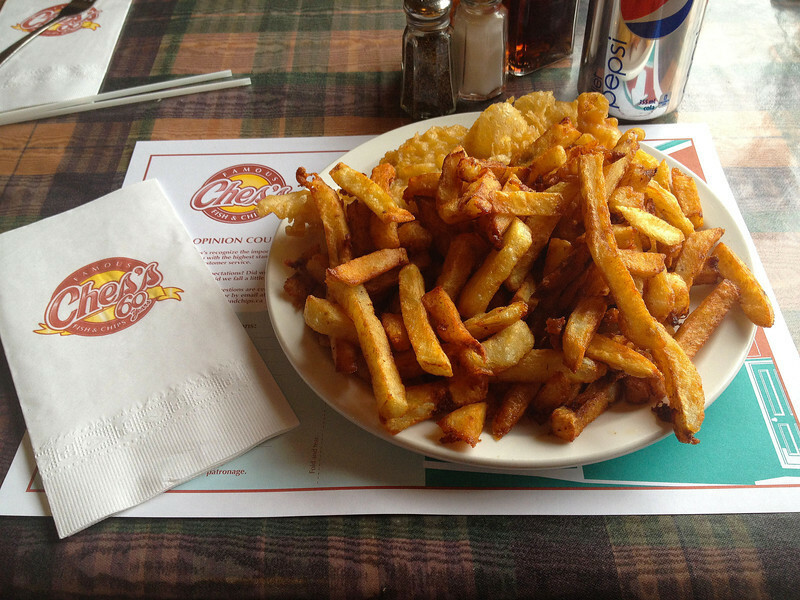 Ended up at Ches's fish and chips, which was a Newfoundland institution, and came highly recommended by Roy the night before. One of our resolutions on this trip is to try everything the locals recommend. I suspect the food tasted extra good because of all the hills we had to walk up and down to get to Ches's. Did I mention the roads in St John's are crazy steep?! After lunch, we hopped on our bikes and rode out to a very pretty area just outside St John's, recommended by the waitress at Bacalao last night. 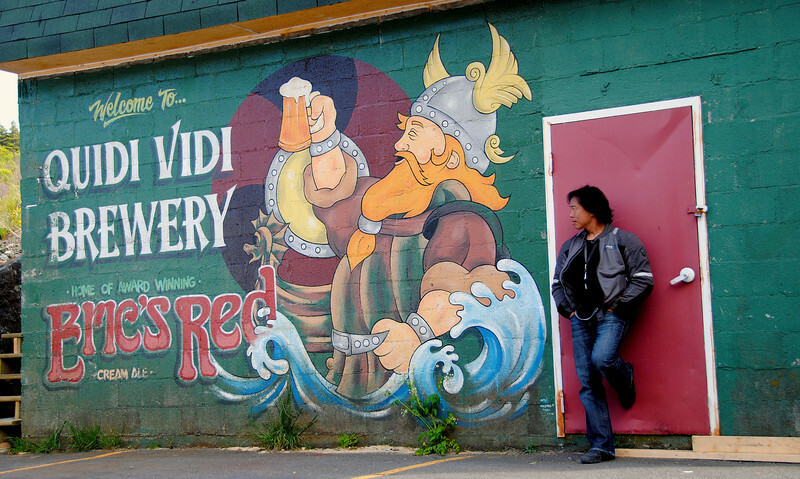 It's called Quidi Vidi, and it's where the beer we drank is made. The brewery is housed in an old fish processing plant on the lake, the white houses above are fishing stages. 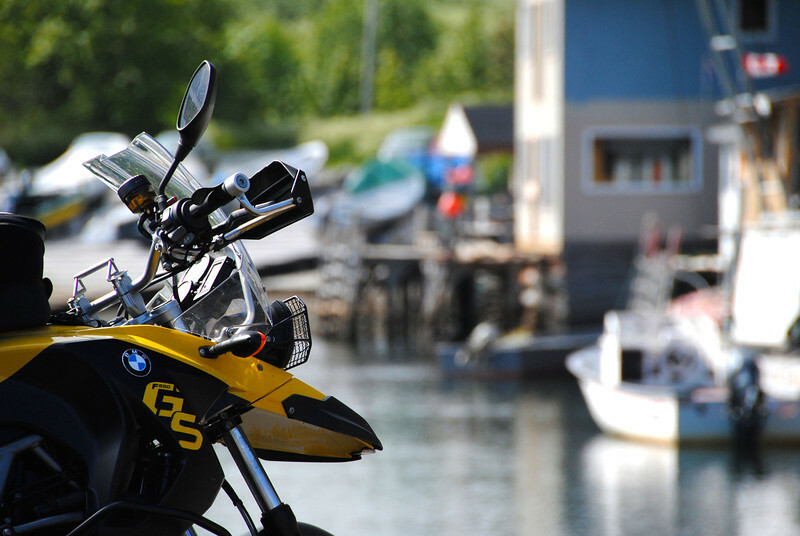 GS at Lake Quidi Vidi. 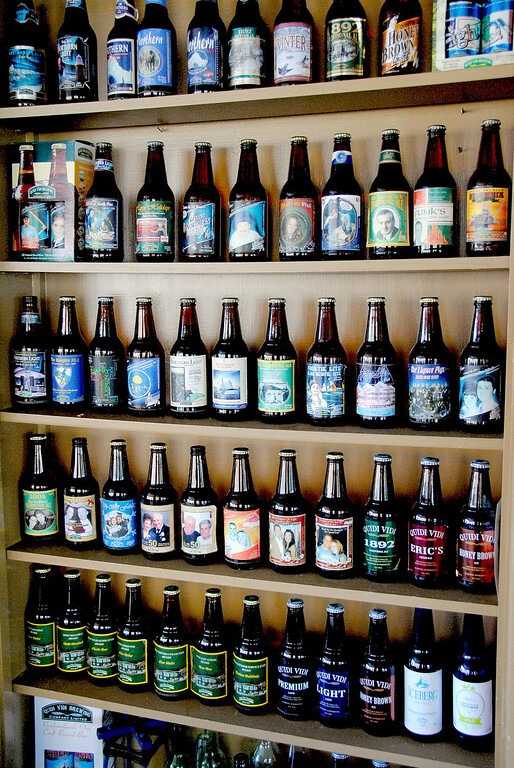 We took a tour of the brewery and received some beers to take home with us. These are not the beers, we only got one each. Unfortunately, mine leaked in my top case on the way back. It's very hard to wash out the smell of beer. So right now I'm carrying a little bit of Quidi Vidi 1892 dark ale with me everywhere I go. 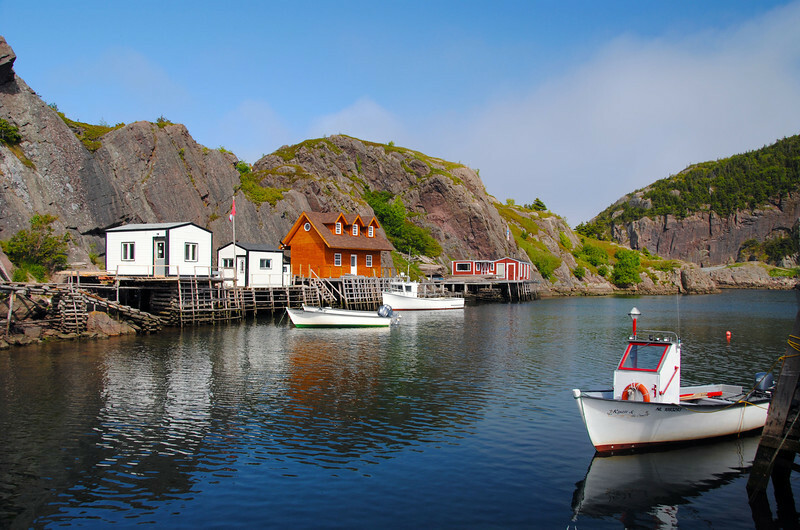 The fishery was bought by the brewery after it was shut down when Newfoundlanders faced tough restrictions on fishing in the 90s. 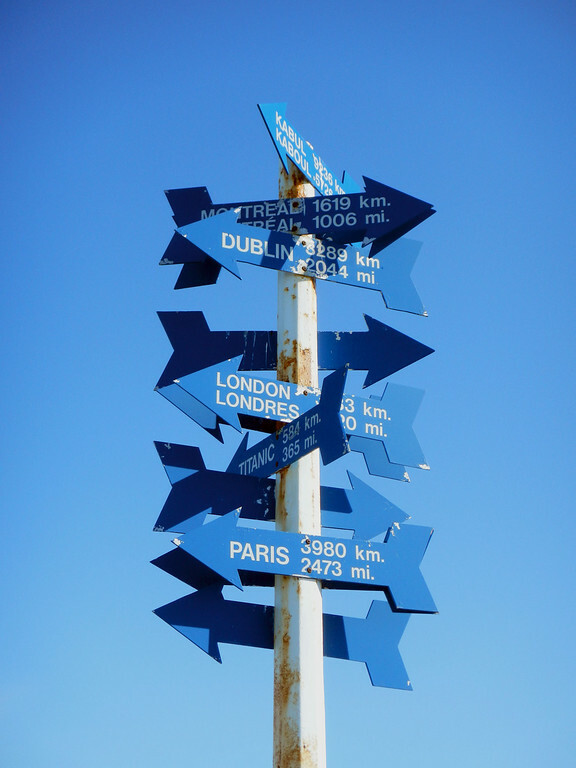 Signpost at Signal Hill. Foreshadowing, maybe? 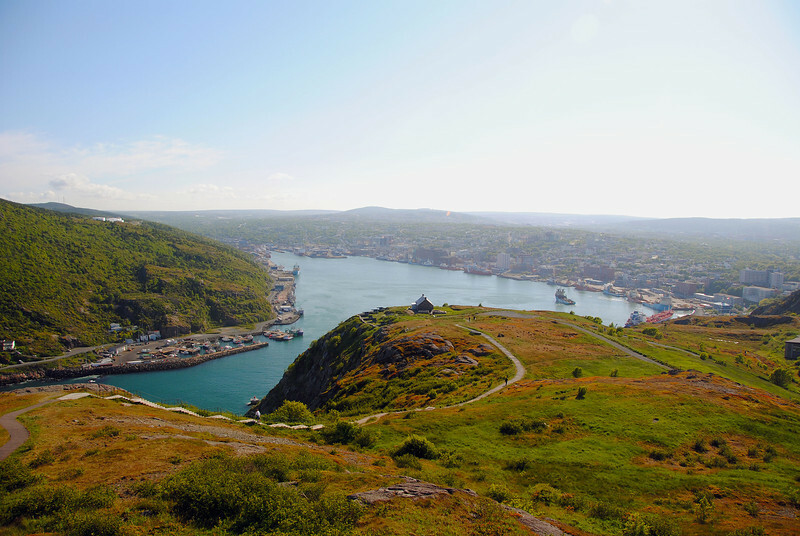 Around the same area is Signal Hill, which was the site of the first transatlantic wireless signal by Marconi. 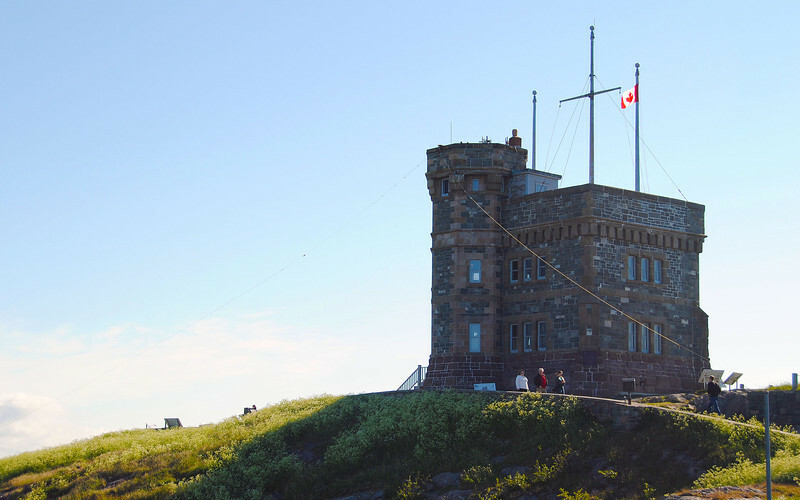 Later used by the military as a communications centre, it provided us with great views of St. John's from above as well as the waters of the Atlantic ocean. The view of St. John's from the top of Signal Hill. These tourists must have gotten their money's worth. 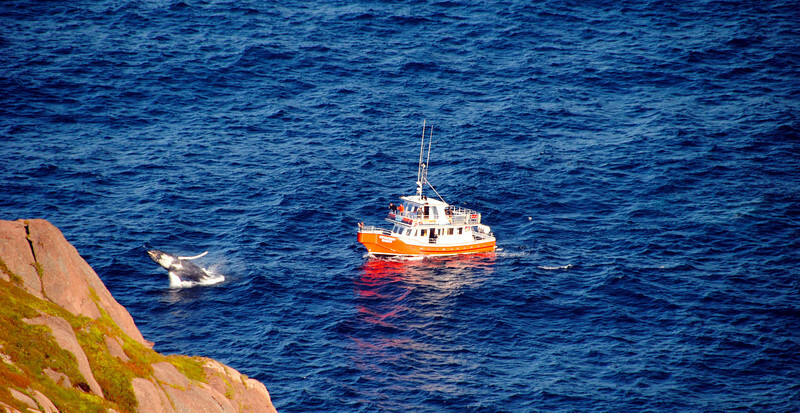 There were a lot of whales jumping in and out of the waters below Signal Hill, and all you had to do was look for the whale-watching boats as they followed whales swimming in the bay. 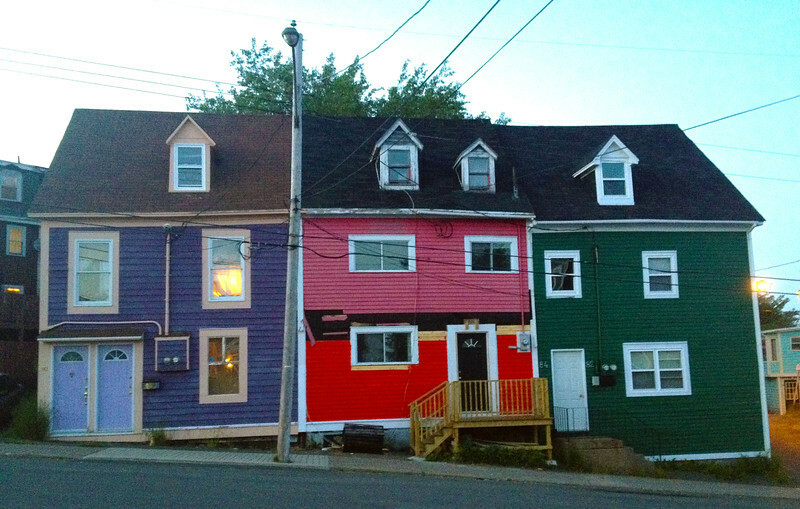 The legend is that the fog was so thick in St John's that when the fisherman came home, they couldn't distinguish which house was theirs, so they painted them all different colours so they wouldn't walk into the wrong home. Dunno if it's true, but it's pretty. 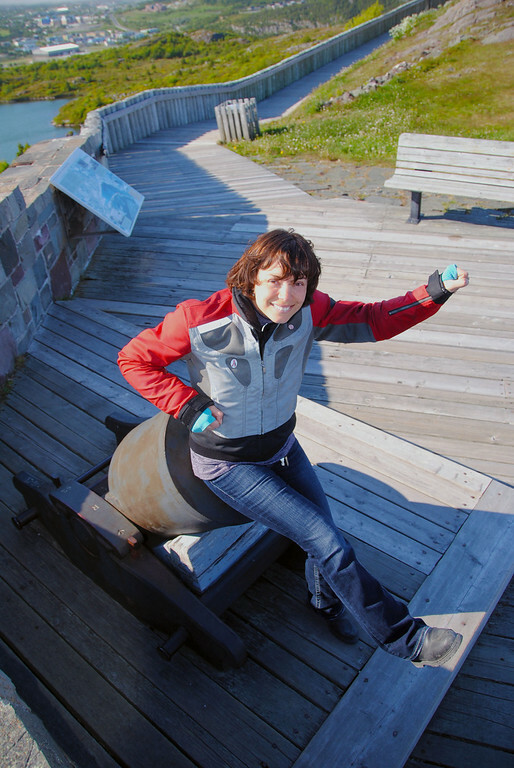 Next day was a travel day - ride down to Argentia, at the southern tip of Newfoundland to catch the ferry back to Sydney. We were recommended to ride some of the more interested roads around the coastline instead of taking the main highway straight there. So we did! 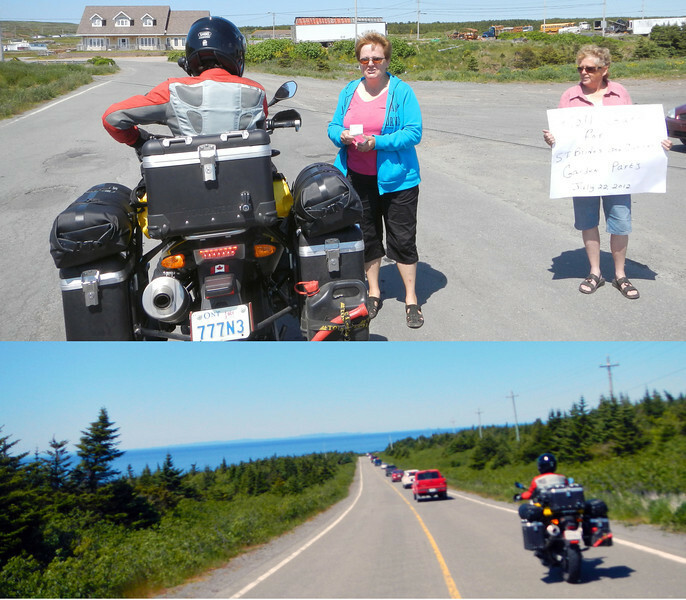 Scenic routes like the Irish Loop which winds its way around the Avalon peninsula and ends up near the ferry dock. Apparently, the Irish Loop gets its name from the fact that most of the initial settlers of the coastal towns hail directly from Ireland. The pictures above depict a wedding roadside toll: two women raising money for a stag and doe for a local couple getting married that weekend. Neda donated $5 to pass. :) The bottom picture was actually a funeral procession, which we initially thought was traffic due to construction! We saw cars lined up behind heavy machinery, but then the construction vehicles did a 180 and all the cars followed as well! Turns out everyone in that town, including the construction workers rode in and out of town to pay their respects to the dearly departed. We joined the procession at the end of the line and followed them back into town and passed them as they turned into the cemetery. A wedding and a funeral on the same road within the same hour! Bizarre! Since we were leaving from the east coast of NL, instead of the west, where we arrived, the ferry ride back was 15-hours long. 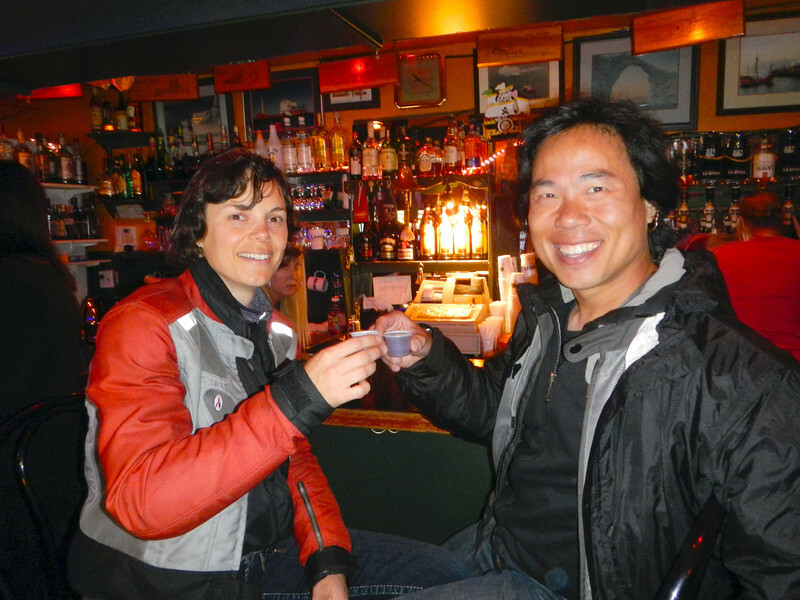 So, to avoid getting kicked in our sleep by the ferry crew, we dished out a small fortune for a cabin during the overnight ride back to Nova Scotia. 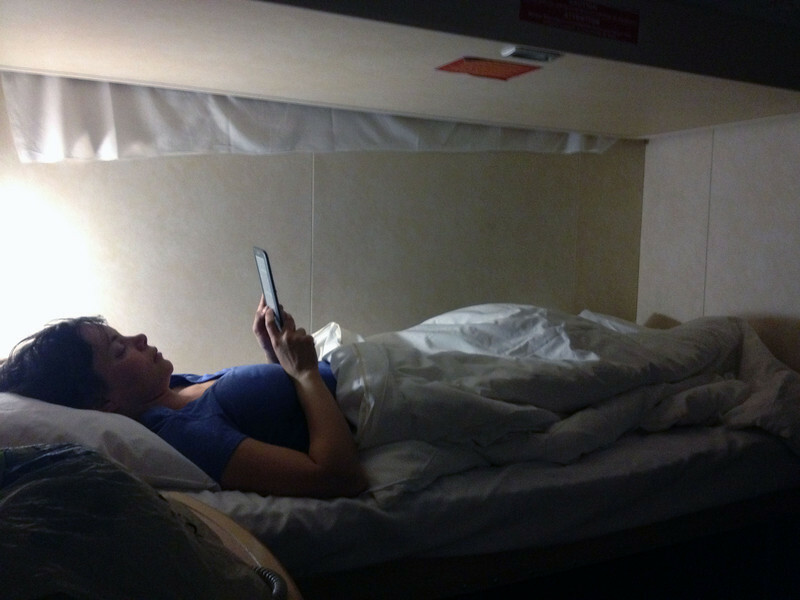 This was our first time during this trip that we're sleeping in a bed and the cramped accommodations felt so luxurious!